You’ve probably heard me stress time and again on the ethos of “classic elegance”. I’m not against trendsetting fashion but rather the serious amounts of dosh it takes to keep one’s wardrobe updated when there are so many tasty pursuits out there (ahem: asset building, vintage cars and fantastic watches); and truth be told fickle fashion cycles really ought to be the domain of women. 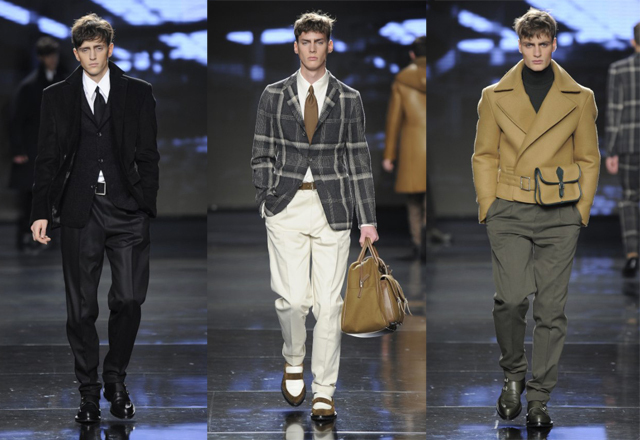 Thankfully, Z Zegna has come up with a rather masculine Autumn/Winter 2011 collection (Read: goodbye slim fit pants). 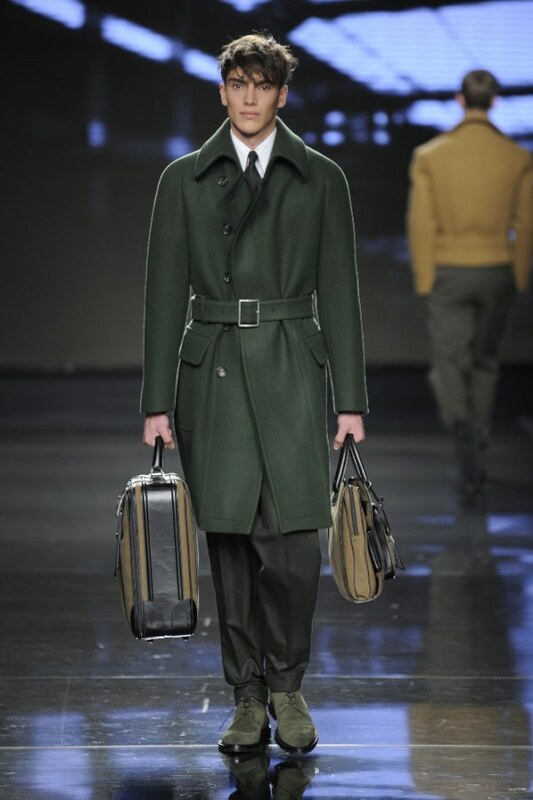 Following the legacy of Ermenegildo’s classical man and then turning on a spirit of youthful romanticism, Z Zegna’s latest core colour palette consists of charcoal grey, military green and camel which are presented in different shades, ranging from light to very dark, with occasional and unexpected accents of petrol. While I enjoy the use of carded wool in everything from thickly woven mélange yarns for suits and overcoats to the softer, hand-knit sweaters, I feel that in creates a very heavy look for those gents who are off the gym loving, stockier build; But as true craftsmanship will have it, all that wool feels surprising light, skillful use of camel, mohair, angora, alpaca and cashmere create textures that would mesmerise you even if their latest collection of colour palettes don’t. With trousers are wide at the hip and slim at the ankle, Z Zegna aims at creating a new male silhouette, striking yet slender. Jackets in either three-button or double-breasted are purposely short to create that slim leggy look while squared and protective cuts characterize the ample choice of overcoats and outerwear for that v-torso illusion. However, I must admit that not every piece appeals to my inner Monsieur, the collection looks superhero-esque and sometimes, out right cartoonish, I prefer the more timeless look and thus a curated collection of what I feel are the most Monsieur approving looks. Using a signature Zegna technique called laser needle punching, the method ensures extreme precision in embroidering and doubling, joining different and unusual materials without a single stitch. Such a design metamorphosis has given birth to digitally patterned fabrics like the Shetland and cashmere double-knit damier, as well as blends of leather and cashmere flannel, hand-knit sweaters with cashmere-on-cashmere felt detailing. ← The Monsieur is Off for an Adventure!